Green vehicle sales by South Korea’s Hyundai Motor Co. and its smaller sibling Kia Motors Corp. jumped 20.2 percent on year in the first quarter led by a surge in electric vehicle sales. 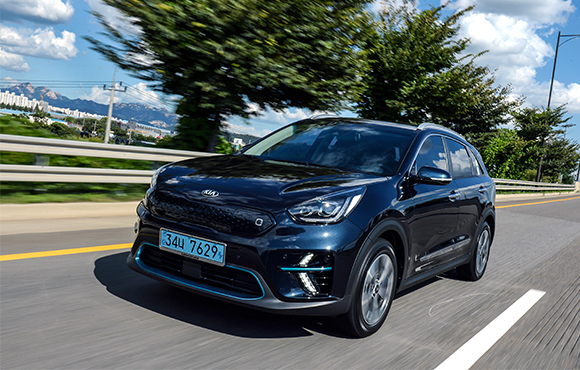 According to Hyundai Motor and Kia Motors on Sunday, the two carmakers sold a combined 75,242 units of 18 environmentally-friendly car models at home and abroad in the January-March period, up 20.2 percent from 62,590 units in the same period a year earlier. Their environmentally-friendly vehicles include hybrid electric vehicles (HEV), plug-in hybrid electric vehicles (PHEV), electric vehicles, and fuel cell electric vehicles (FCEV). Green cars’ domestic sales jumped 17.2 percent year over year to 20,540 units in the first quarter ended March and overseas sales 21.3 percent to 54,702 units. Electric vehicles accounted for 28.1 percent of the Korean auto duo`s total green vehicle sales in the first quarter, more than doubling from 13 percent in the same period a year earlier. Main environmentally-friendly vehicle models of Hyundai Motor and Kia Motors had been hybrids until they turned more aggressive in expanding sales of electric vehicles in 2014. In 2015, sales of hybrid vehicles accounted for 82.1 percent of total green vehicle sales, falling into the 80 percent range for the first time while electric vehicles took up 15.7 percent. In 2016 and 2017, the share of electric vehicle sales fell further to the 10 percent range due to the growing popularity of plug-in hybrid vehicles but rebounded to 21.2 percent last year thanks to new releases of Kona and Niro electric vehicle models. The EV share jumped to 28.1 percent in the January-March period, and given that sales of electric vehicles have been on the steady rise since March, it is projected to surpass 30 percent this year. 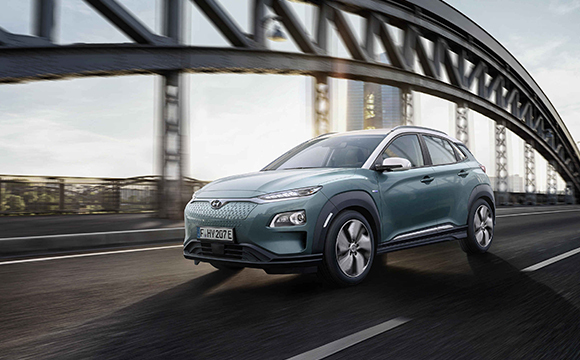 Hyundai Motor and Kia Motors are offering a wide selection of green car models ranging from hybrids and electric vehicles to hydrogen fuel-cell electric cars. They forecast their electric vehicle sales will continue to rise led by Kona, Niro, and Soul models on growing demand for SUVs.